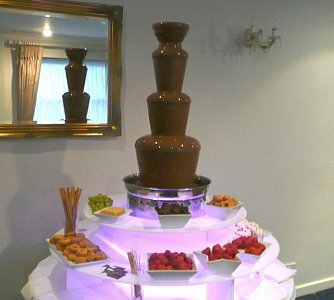 Celebration Chocolate Fountain Manchester, also Candy Floss Hire Manchester area please telephone Gary on 07760 710919 for details. 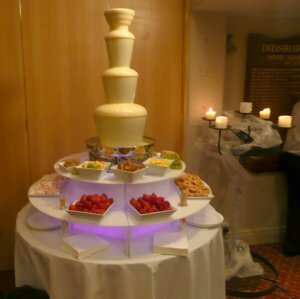 We are a Manchester based company offering the best service you will find in the area with many repeat customers, and over 10 years experience, we cover the whole of the north west. 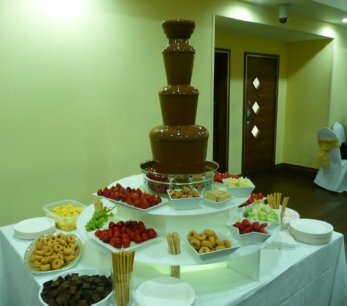 We use 8kg plus of Fine Belgian Chocolate with no oil added- as some companies do and you can rest assured your guests are safe as our attendants are qualified in food hygiene. 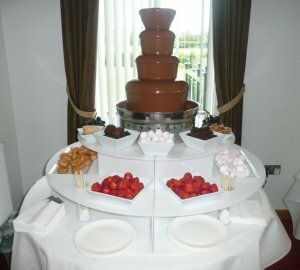 We now also offer candy floss machine hire in the area at all Manchester Venues such as The Lowry Hotel. 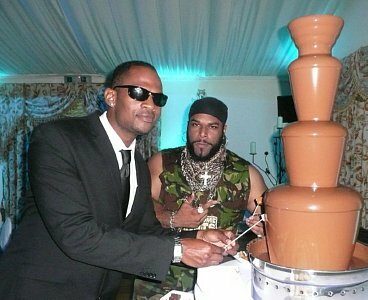 We also provide Candyfloss machine hire Manchester, Altrincham, Wilmslow ,Knutsford, Prestbury and surrounds. Phone or email for prices and offers. 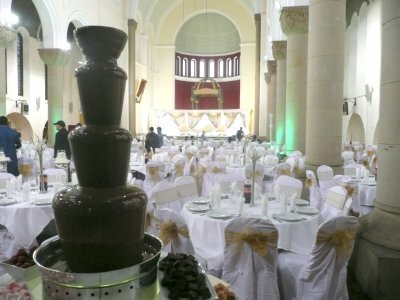 "Gold package" -Includes attendant and Fine Belgian chocolate, vegetarian dips and halal marshmallows are available. We have provided fountains for the BBC, Chanel 4 8 out of 10 cats does countdown, at Media City, Salford, Sky TV, Local Celebrities and Footballers, Local Councils and Schools. 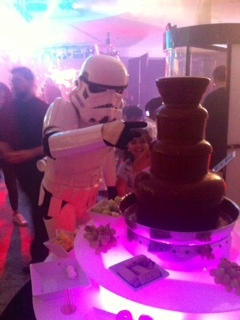 When you hire a chocolate fountain from us, your event will be talked about for months after. 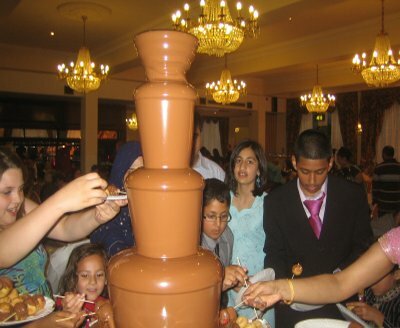 We can also offer Self service or Dry hire of the fountain, where we supply the chocolate and fountain , set it up running (usually for 2 hours), and you supply the dips.Please check with the venue whether you will need an attendant, which we can provide at extra charge. 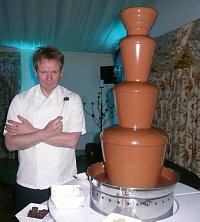 Our chocolate fountains are Pat Tested in Manchester , and our smartly dressed staff are polite and friendly and trained in food hygiene.